No one has actually said those words to me in that order, but I do get a lot of questions about weight loss from fellow climbers. I’ve been very hesitant to write about weight loss because it’s a complex topic (in my opinion) that involves multiple variables, and people tend to want blanket recommendations. If you’ve listened to my interview on the ChalkTalk podcast, then you know that blanket recommendations are just not my style. I mean, how can I possibly give you individualized advice without knowing anything about you? There are a few general tips that can help the majority of climbers lose weight, but before I get into that, I want to clarify a few things about body weight. First of all, body weight alone is not a good indication of your body composition. Your body contains 4 basic components: muscle, fat, water, and bone. Guess which one weighs the most? You also can’t really change your skeleton, barring terrible accidents, so if you’re trying to lose “weight” for climbing, then you should really be focusing on improving your body fat percentage. Note: Keep in mind that taller people (with larger skeletons) are going to weigh more than their shorter counterparts, even if they have the same percentages of muscle, fat, and water mass. 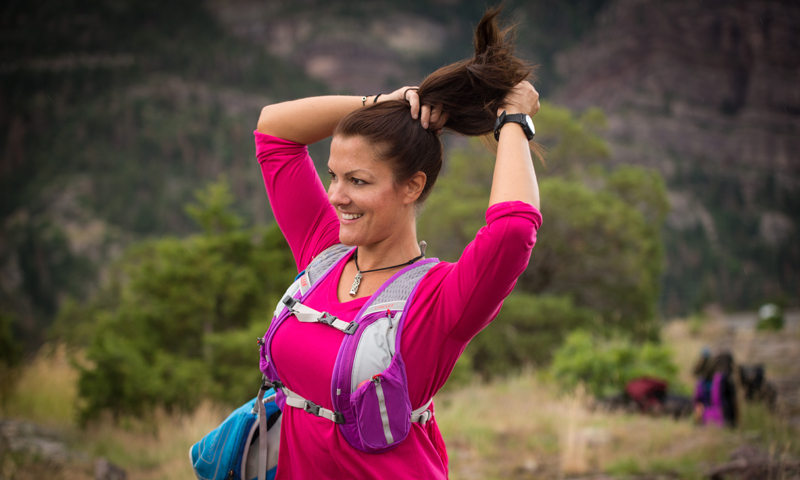 So don’t get too caught up in comparing your weight to shorter climbers. Try to focus on a weight goal that suits your height and doesn’t require muscle atrophy or the loss of a limb. Most climbers that I know do not need to lose any body fat, so I would highly recommend getting your body fat percentage measured before embarking on your next weight loss journey… mostly because you might not need it. If you do need help losing a few pounds, here are a few tips to help. You don’t have to cut them out entirely (I’m not a carb hater), but if you’re looking to shed a few pounds, then reducing your carb intake is a great start. Carbohydrates are not evil, but they’re really only necessary for exercise. If you don’t exercise, your body can store the excess carbohydrates as fat for a later date (in case of starvation). If you like to partake in any form of endurance exercise, like running, cycling, or swimming, then you’ll need to find a good balance. The American College of Sports Medicine recommends consuming 5-7 g/kg/day of carbohydrates for this kind of moderate activity. If you’re mostly climbing with a little hiking here and there, then you won’t need quite as many carbohydrates, even on climbing days. 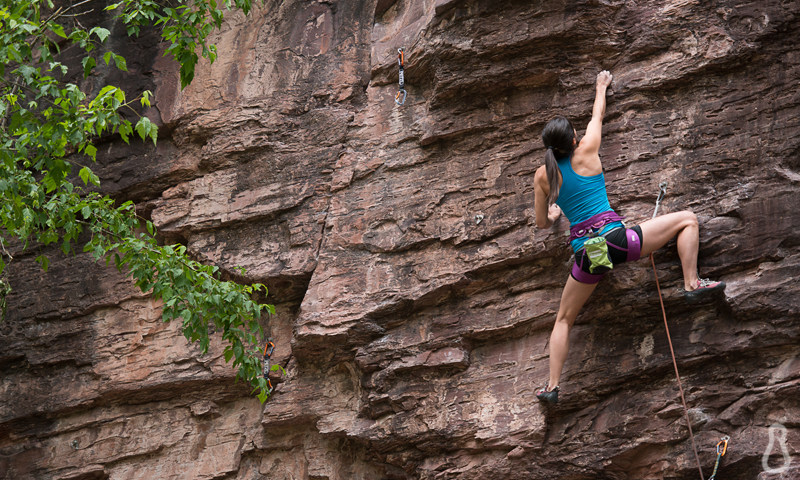 The ACSM only recommends 3-5 g/kg/day of carbohydrates for skill-specific activities, like rock climbing. I’m sure I’ll get endless grief for this one, but what can ya do? This should be a no-brainer. Alcohol isn’t helping you in any way, shape, or form. I don’t care what some overly-publicized article about beer told you. Alcohol will not help you reach your goals. But Moscow Mules are tasty… so pick your battles. I know this sounds counterintuitive, but take a break from the scale. Stressing out about your weight will just increase your cortisol levels and tell your body to pack on more weight. Let go of that magic number you have in your head, and focus on your training and diet. Your body will follow. Most people don’t think about sleep when they think about weight loss, but sleep is a crucial recovery time for your entire body. There are many studies that have linked weight gain to sleep deprivation, and newer studies suggest that sleep deprivation may alter the regulation of hunger hormones, leptin and ghrelin. This means that getting fewer than 6-7 hours of sleep can potentially increase your appetite and reduce your satiety after eating, leading to constant feelings of hunger. Another easy way to “burn” fat is to get more butyrate in your diet. Butyrate is a short-chain fatty acid and the by-product of bacterial fermentation in your colon. When you consume fiber, you don’t actually digest or absorb it. Fiber actually passes through your small intestines into your colon, where your gut bacteria ferment it into short-chain fatty acids – acetate, propionate and butyrate, among other by-products. Butyrate supplementation in mice showed an increase in insulin sensitivity and a reduction in adiposity, or fat mass; and in humans, butyrate appears to provide anti-inflammatory protection for your digestive system. Obviously more human studies need to be done on the topic, but the current evidence is quite exciting… to me anyway. You can get more butyrate in your life by increasing your healthy gut bacteria or by consuming foods that naturally contain butyrate, like grass-fed butter. I will look into butyrate, though!